established ELCA congregations and institutions that are willing to undertake the responsibility for the construction of their own facilities to save money on their building programs in a cost effective manner. This program is specific to individuals&amp; couples wishing to be involved in Christian service at related churches, camps, and social ministries, and on occasion as management supervisors of other volunteers doing disaster response work. Spouses are welcome to participate as construction workers, or to become involved in congregational or local volunteer outreach activities. 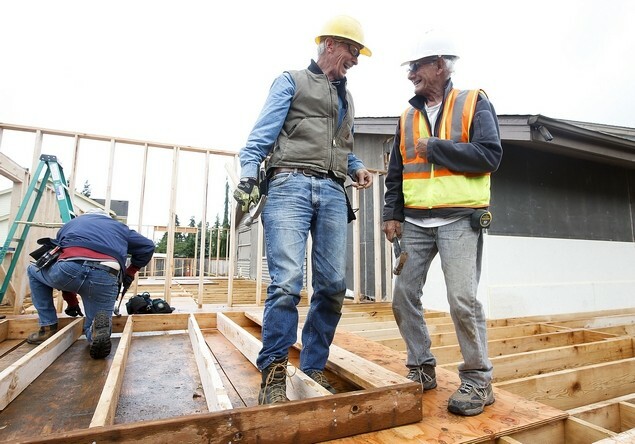 remuneration, other than a full RV hook up, and are required to sign a waiver, of liability for the organization for whom the building is being constructed, to participate. After one month individuals, deemed capable of doing this demanding physical labor may become paid employees of the church, camp, or social ministry for whom the structure is being constructed and will receive the states prevailing minimum wage and be covered by Workman’s Compensation. We typically work 40 hours per week, (Tuesday- Saturday). The organizations (Churches, Camps, and Social ministries) you are working for are responsible for providing RV parking and utilities. Depending on the projects, the RVer may park in a campground or in the parking lot of the church, camp or social ministry.